Our Amish Hearthside Barstool is handsomely handmade in the United States by our supremely skilled Amish woodworkers. Its carefully carved back splat is the focal point of this chair, providing excellent support for as long as you need it. Coupled with that, this barstool features a sumptuously scooped seat that will add even more comfort to every occasion. The Hearthside comes as standard as a side chair and can also be ordered as an armchair as pictured. If you have any questions or concerns, please call 1-866-272-6773 to speak with an Amish Furniture expert who is more than willing to assist you. 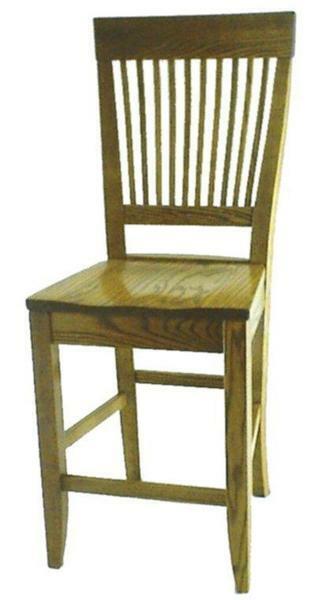 The Amish Hearthside Barstool usually ships within 7-9 weeks.